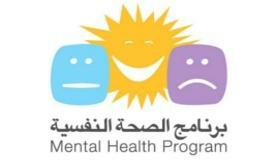 Published in Arabic by the Mental Health Program at the Arab Resource Collective, ARC. Supported by the Norwegian Council for Mental Health, NCMH. This article elaborates the psychological effects that are continually accumulating on the youth of Jerusalem: oppression, deprivation, social and economic pressures. A section of two articles which deal with the different aspects of the profound psychological effects, that result from decades of Israeli occupation and siege policies, expulsion, isolation and despair. In this issue we return to the "teenage" phase. Threatening transformations in our societies, its wars, its divisions and prospects complicated the risks and the dangers rather than a safe developmental stage. In the following article, we summarize a research prepared by Rita Mirhij (Psychologist and trainer) to ARC about three of the most prominent aspects that characterize adolescence: Identity, fears and differences. In this paper, the focus is on surroundings (parents and teachers, but parents mainly) of the teenagers and their feelings. The interpretation of their feelings will lead to an explanation on why parents resort to "religious preaching" as a way of guidance and discipline. It is a practical guide for those working with youth in the health and social fields. The translation of the original Norwegian version was adapted and revised with the participation of many professionals working with teenagers, mental health institutions and experts. Many adjustments were made to suit the circumstances of Arab communities, meet the needs of this age group and address current challenges. Dr. Hijazi is a leading academic and a training figure in the field of educational psychology. He developed this resource in response to the need for a resource that could help both parents and adolescents (and thus mental health and education carers) in coping with the changes that impact the development of attitudes and behavior during those ‘exciting’ years. The chapters cover the following aspects:: what is adolescence; physical and sexual growth; mental and cognitive development; emotional and social growth; study and preparing for future; building effective identity and transition to youth and adulthood. The four booklets aim to shed light on the rights of adolescents, promote their abilities to claim them and translate them into reality and knowledge, thus providing them with trust, comfort and learning required for successful education and employment. The kit consists of 13 booklets on physical and sexual health topics. It is addressed to youth aged 13-19, parents and people working with youth, in order to provide youth with knowledge and skills that immunize them and help them choose healthy behaviors. It also helps them discover their bodies and identify changes occurring during adolescence, thus guiding them scientifically to the healthiest way of accepting these changes and dealing with them properly. A brief guide on establishing a program for youth, in which youth take the initiative to suggest the program content, lay its foundations and enforce it. The guide built on the "6 steps" and peer approach. The two studies aim to upgrade the impact and effectiveness of health programs that address youth, by defining indicators which are based on field data and research, in order to provide enhanced services to the beneficiaries.